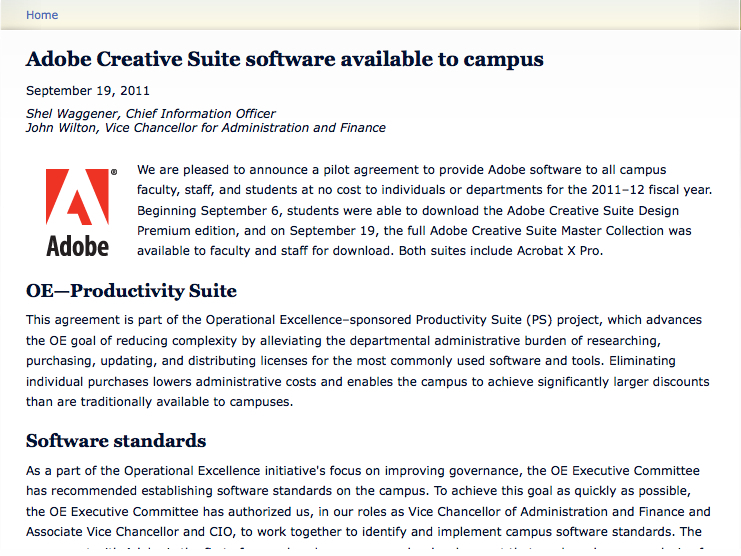 A screenshot of the Adobe Website which reads that the Adobe Creative Suite will be available for download. The free market economist Milton Friedman once famously said, “There’s no such thing as a free lunch,” meaning that all goods are paid for somehow. If only he were a professor at Berkeley! 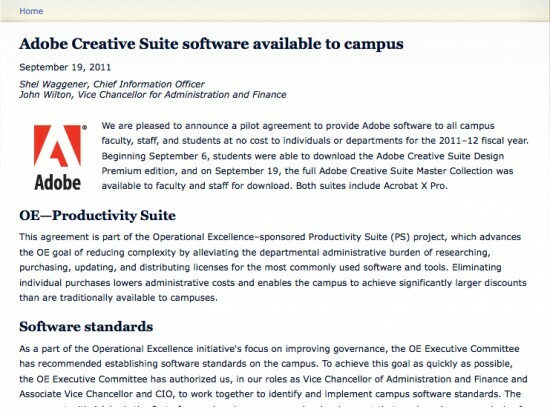 This fall, our university’s “wise” administration struck a deal with Adobe Systems to offer their popular Creative Suite to Cal students for “free.” However, as the old adage goes, this bargain was “too good to be true.” The catch is that this dubious deal is actually costing the campus $500,000, coming indirectly out of students’ wallets. In a time of never-ending budget cuts and tuition raises, it is travesty to fiscal responsibility to think that our supposedly caring administrators would spend students’ money so carelessly.